Trade shows, consumer shows, product launches, sporting events, and other opportunities to interact face-to-face with customers have become an important part of the marketing mix. Recent studies show that the percentage of the total marketing communications budget spent on event marketing ranged from over 9% to a staggering 29%. In 2003, North America alone hosted over 13,000 trade and consumer shows, each one with hundreds of exhibitors, and thousands of visitors. Beyond traditional trade shows, there are countless other opportunities for exhibitors to interact with their customers directly and improve the bottom line, such as mall displays, corporate events, road shows, and permanent displays. Well chosen and executed events can shorten the sales cycle significantly and put you miles ahead of the competition, but you need to have an exhibit plan that's well thought out, organized, and executed. While some large organizations have a dedicated exhibit staff, often the role of exhibit management lands on the desk of an unsuspecting, overworked, or unwilling sales or marketing person who needs to get results from their exhibit investment, but doesn't know where to start. 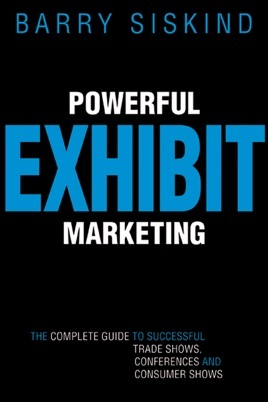 The Power of Exhibit provides the step-by-step advice you need to exhibit successfully. This definitive guide to trade shows and other event marketing shows how to set objectives, budget for your event and measure its success in ROI, choose the right show and find the right audience, turn leads into business, design booths, work the show, gather information and intelligence, and much more.